Size doesn't intimidate this ambitious designer. 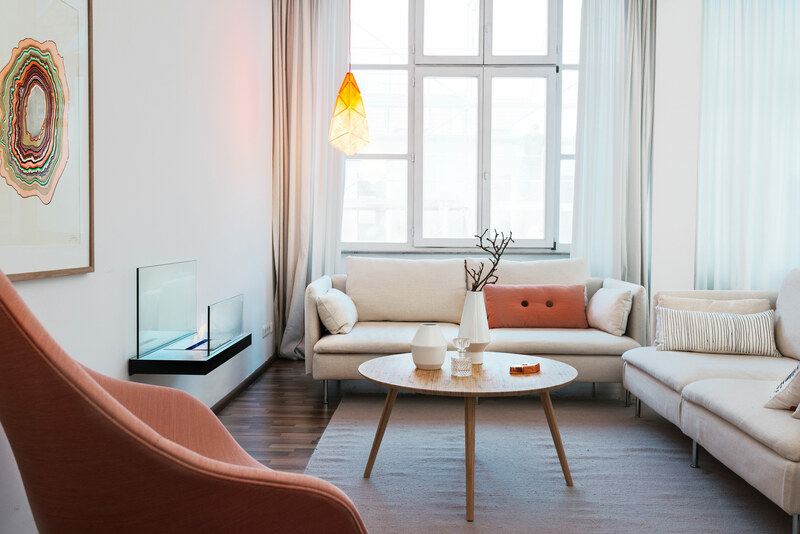 A private residence Joa Herrenknecht designed for a client in Berlin. The living room of the residence in Berlin. The dining area of the Berlin residence. The bedroom of a private residence by Herrenknecht in Zurich. The two levels of the apartment designed by Herrenknecht in Zurich. From her studio in Neukölln, Berlin, Joa Herrenknecht is at ease with the nomadic qualities of her life. Born in Saskatoon, Canada, she was raised by a Colombian mother and a German father, grew up near the Black Forest in southwest Germany, and went on to study in Sydney, Australia. With constant movement comes perspective: “What you surround yourself with can change the way you feel,” she says.